Nothing like having a front row seat on the Google Phishing scam that hit Texas school districts (not to mention lots of other folks) today! 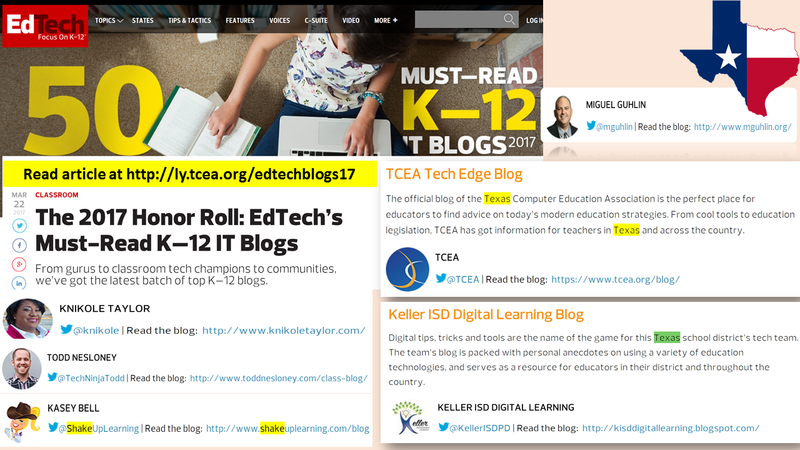 Here’s the latest roundup of blog entries I’ve written for TCEA TechNotes’ blog…happy reading! Prevent Summer Slide with Technology: This blog entry allowed me to explore a conversation I had with a colleague several years ago. What fun it was to dig up that conversation and explore it in light of new technologies. One of the challenging aspects of preventing summer slide is the fact that school districts want to use tutorial, or drill-n-practice, solutions to address it. Research shows, though, that such approaches have limited impact on math and reading. Choosing an Online Payment System: One of the initiatives that I took on as a technology director was implementing an online payment system. This blog entry captures part of the success story. Slack for Better Communication: My first introduction to Slack was last year. I was amazed that I had completely missed this wonderful service. Of course, for previous years, I’d been focused on building school district communication networks using Telegram and Voxer. Get Organized: Productivity Tips for OneNote: It’s amazing how fast OneNote is evolving and becoming the tool of choice for many. Down Memory Lane: Memoir Maps with iPads: This blog entry allowed me to explore memoirs and iPads, but more importantly, to exorcise an old unpleasant memory. Showcase Your School’s Success: Like most district administrators, I wanted to share the great things that were ongoing in schools. As a blogger, I’m always amazed at much great material we let just fade into memory. In this blog entry, I share my insights into how you can do this for your school. Transform Learning with Text to Speech: A few weeks ago, a colleague received a phone call asking about solutions for text to speech, and speech to text. I was pleased I had the opportunity to share this blog entry. When People Fail – Digital Evidence Search: As a tech director, one of the challenges we encounter is when people fail, when they use technology in inappropriate ways…and how we are forced to deal with it. Protect Your Virtual Home – Google Chrome Browser: A few of my favorite Chrome add-ons that help you manage work, beautify it with pretty pictures, and protect your privacy. Most of these blog entries address the TCEA Productivity Tools for Administrators Academy coming up later this summer, 2017. “For the things we have to learn before we can do, we learn by doing,” said Aristotle. Or, more simply, the doer who learns. As a writer in the education field, and I trace my lineage back to those first book reports in third grade, I have been learning by writing for many years. So I must admit to some concern when I saw arts (did I mention I flunked art in kinder?) and crafts see a resurgence in schools, a contra-decima to the establishment of the Common Core as Chris Aviles suggests in his article which I explored earlier. As I have written more about makerspaces, experienced it firsthand, I realize that we are moving quickly to the digitization of arts and craft experiences. Making things from junk, then digitizing the creation, resulting in a 3D printing that is functional, well, that moves the experience of creating down the road. Makers appear an innovation on what humans have been doing for years–hunting, gathering, and making stuff. 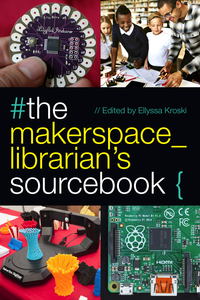 This hands-on sourcebook…includes everything libraries need to know about the major topics, tools, and technologies relevant to makerspaces today. [It]…delves into 11 of the most essential technologies and tools…found in makerspaces, ranging from 3D printers, Raspberry Pi, Arduino, and wearable electronics to CNC, Legos, drones and circuitry kits and includes an assortment of project ideas that are ready to implement. For the sake of variety, I decided to do a quick skim of the book to see what useful nuggets might reveal themselves, half submerged in the rapid flow of text and quotes, 400 pages long. Here are some of my take-aways of this must-have textbook for schools, teachers, librarians and administrators eager to fundamentally understanding the maker movement and implement it in their schools. A typical academic makerspace would include 3D printers, programmable electronics, digital microscopes, video equipment, large format printers, and other items that add to the institution’s curriculum. A space like this gives students endless possibilities to put their education into practice. The makerspace movement need not rely on high-priced tech. Making can be as simple as featuring a building contest with Legos or hosting something more technical like a hackathon. Students can make and display dioramas, science projects, crafts, and jewelry along the line of friendship bracelets. Active learning is the process in which students participate in activities to facilitate understanding and retention. Any exploration of an idea with two or more minds involved. Individuals working in groups generally retain more information and understand a concept more fully than those working alone. Inquiry-based learning is the proces of learning by posing questions, problems, or scenarios. It provides a scaffold for student learning but allows students to explore and develop a better understanding of concepts instead of simply presenting the facts or providing a linear path to established ideas. Projects are complex, multilayered learning experiences that require students to develop critical thinking and problem-solving skills. Present a compelling, challenging real world problem for students. Encourage students to explore topic through extensive inquiry, research, information application and reflection. Organize time for critiques, revisions that scaffolds peer collaboration. Empower students to share their results with each other and others. People learn better when they are actively making things. Students are encouraged to build or create tangible objects to understand the world around them. Instead of teaching at a person, constructionism supports the idea of assisting learning through trial and error. Students test their ideas without fear of failure. Makerspaces are safe spaces where learners are encouraged to fail to test boundaries and explore creative limits in pursuit of intellectual growth and understanding. The ability to tinker, build, break, and create something you envisioned is an incredibly powerful lesson. To work alongside makers of all levels reinforces the idea that we are all learners and need help to succeed. 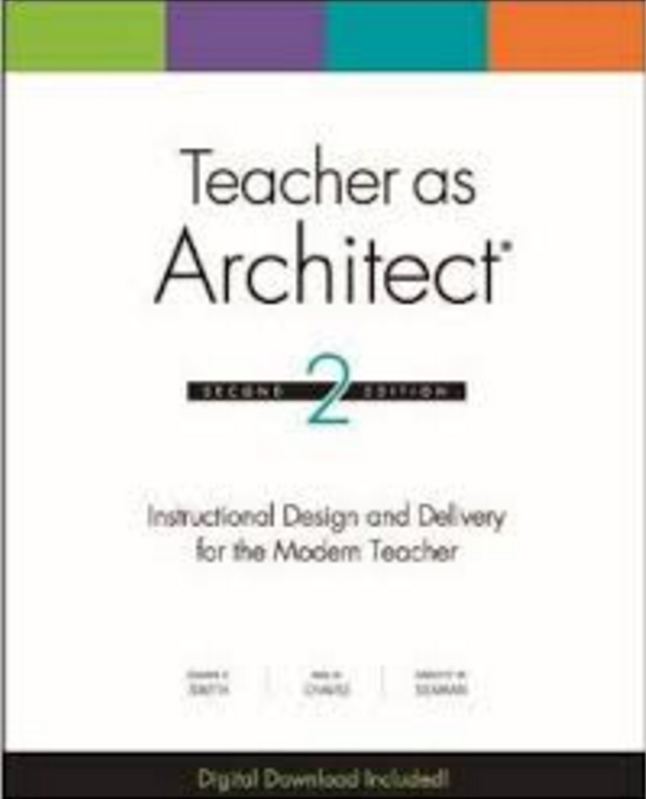 Wow, Chapter 2 does not disappoint in terms of awesome ideas and rounding up instructional approaches! I have to admit that it’s my favorite chapter so far. If you are unfamiliar with the Makerspace in schools, the most common type of Makerspace aims to both better expose students to STEM related fields and revive the lost art of making with one’s hands. Basically, it is Shop class 2.0. And like Shop class, the Makerspace is doomed. The Makerspace has five years left, ten if it’s lucky. Chris Aviles, the author, points out that the Makerspace is doomed because it is a fad (well, heck, what isn’t in education except the love of a teacher for her students?) and money. Yes, makerspaces can be expensive, if not in actual budget (robots aren’t cheap), in time to gather all the inexpensive alternatives to robots. Really, what else can be dumped on librarians to do? For the author, his embrace of fads like interdisciplinary studies, blended learning, flipped learning, constructivist approach suggests that being “a maker” is already present in schools. This is just another label to describe digitizing arts and crafts, shops 2.0 as he called it. What’s the connection to our work as educators, if any? I see synchronous instruction (F2F/Online) as lectures he describes. Recording oneself, providing choice and voice in what is learned with the opportunity to make it personal (learning content is a makerspace where learners connect experiences they value to active learning), relevant and authentic is the new trend. Implications for edtech folks? We can accomplish this with a learning and development schedule that lessens our involvement with synchronous learning, the right technology that enables us to market asynchronous learning opportunities 24/7. This grants our students, adult learners in a global marketplace of learning, the ability to control their own destiny, to find what they want and learn however they want. We have to become extremely mobile and fluid in creating content on the go. Makerspaces ARE a fad. But then, so is everything in education today. The question is, how do we surf the fads while providing a valuable service to those who choose (e.g. Innovators, Ealry Adopters, Early Majority or 50%) to embrace the next thing? And, how do we continue to nurture the inservice teachers (Late Majority, Laggards or 50%)? 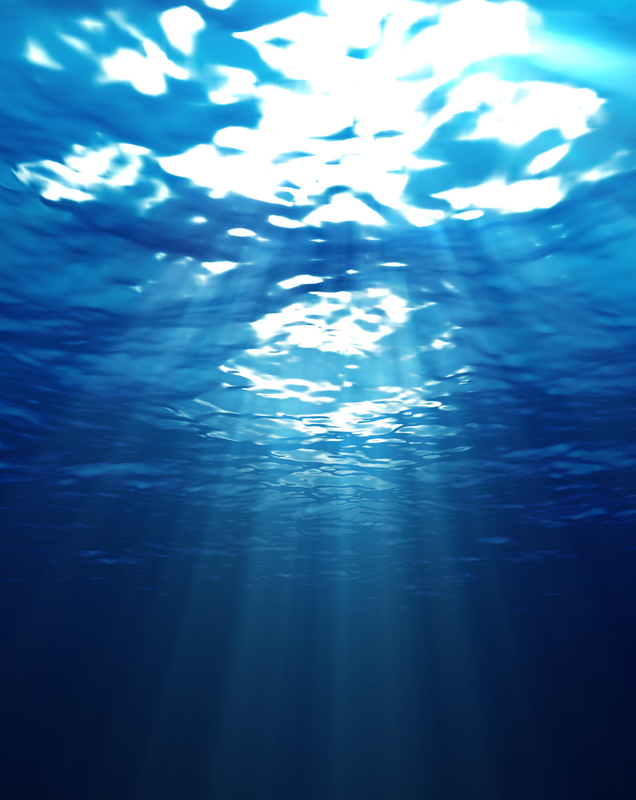 Read this blog entry…one of my favorites! “Do you by chance know of a good basic list of tech skills that every teacher should know? If so, do you have a formal assessment for this?” asked a TCEA member recently of a colleague. “We’re a Microsoft district,” the member added. In this blog post, we’ll explore a list of expectations for teachers. We’ll also discuss some suggestions for formal assessments. How do these changing expectations impact basic technology skills that all teachers need? Create folders to organize content. Organize files into folders, copying files from one folder to another. Work with filenames and extensions. Record screencasts with Powerpoint and Office Mix. Record a podcast with MS Sway online. Capture and share a whiteboard recording (audio+annotation) with Microsoft Snip. Record and edit audio clips using programs like Audacity (free). Record and edit video using programs like Shotcut (free). 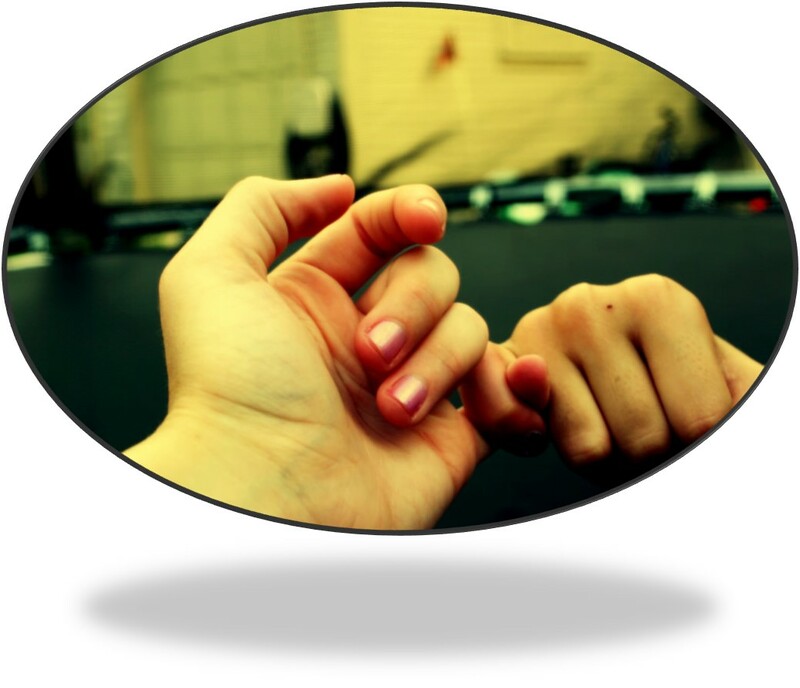 Model and support the use of digital ink for learning enhancement. Create models for 3D printing using tools like SketchUp Pro/My.SketchUp (free for Texas schools via TCEA), Tinkercad, and Microsoft Paint 3D. Make and take in classroom-based maker spaces that incorporate coding (e.g. Creative Coding through Games and Apps (CCGA), TickleApp (view compatible drones) and DroneBlocks (view compatible drones), each of which works with different drones. This type of programming can be introduced to students using MIT’s Scratch and Scratch, Jr. Rely on GPS-enabled devices for geo-caching activities as a team or create activities for others. Have students form teams and then make a social justice video using their devices. Then publish the videos online using YouTube. Engage students in problem-based learning scenarios that require them to collaborate and communicate to solve a problem. Deepen the difficulty by separating them into different rooms (or work with another classroom) and work at a distance using an instant messaging/video technology of choice (e.g. Skype). Students can also construct virtual representations of learning tasks in virtual spaces (e.g. Minecraft: Education Edition). Adopt BreakOut EDU methods for use in the classroom. 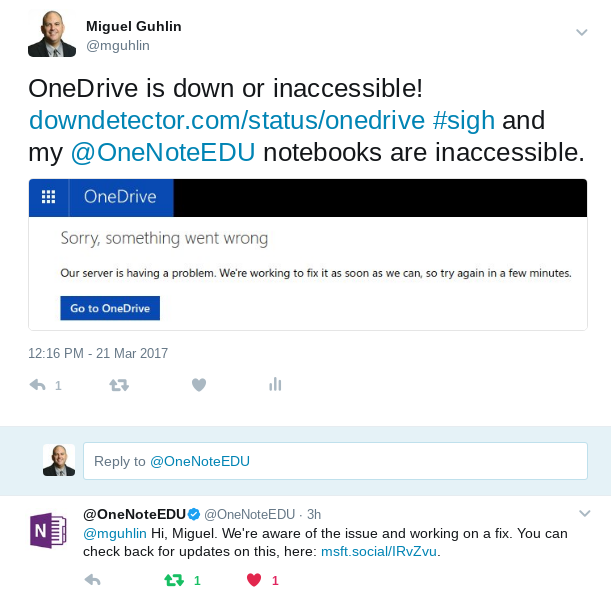 Encourage students to use Office 365 (e.g. 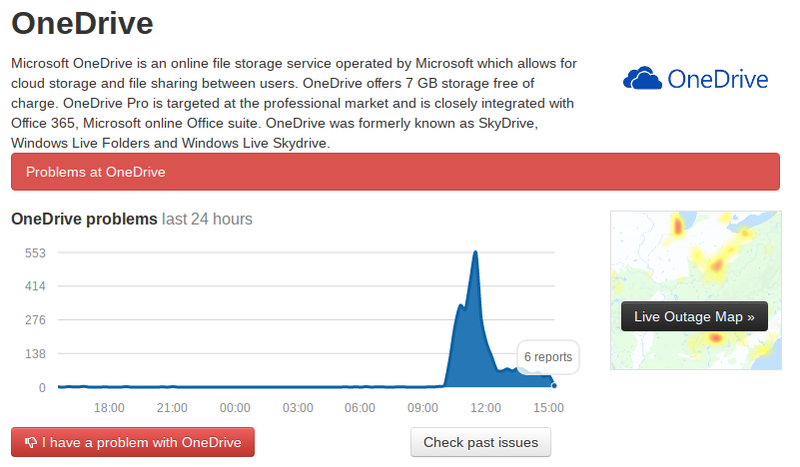 Microsoft Office Suite) to engage in real-world data analysis to solve problems. Create problem-based scenarios using Powerpoint and Office Mix with built-in assessment. Enter students in the 3D Design Contest offered each spring by TCEA where they must solve an authentic problem using the design engineering process. Engage with Problems: Engage learners in the authentic purpose of solving a problem (problem-based learning/inquiry-based learning). Encourage Collaboration and Implementation: Encourage and support adult learners as they collaborate on projects–sharing their own life experiences–focused on the creation of tangible product(s) with modeling and safe implementation opportunities. Amplify Learners’ Voices with Tech: Amplify human voices with technology as they gather stories and share them (blogging, podcasts, video, media collections). With these, any professional learning you invite educators to can be enhanced to achieve much of what they need to better meet learners’ needs. Be sure to visit the Microsoft Education Community for access to free professional learning that includes micro credentials (e.g. badges) that teachers can earn and share. And, of course, remember that TCEA Microsoft Innovative Education (TCEAMIE) Master Trainer Miguel Guhlin (@mguhlin; mguhlin@tcea.org; 800-282-8232) is available to work with your campus or district to help develop skills with your staff. 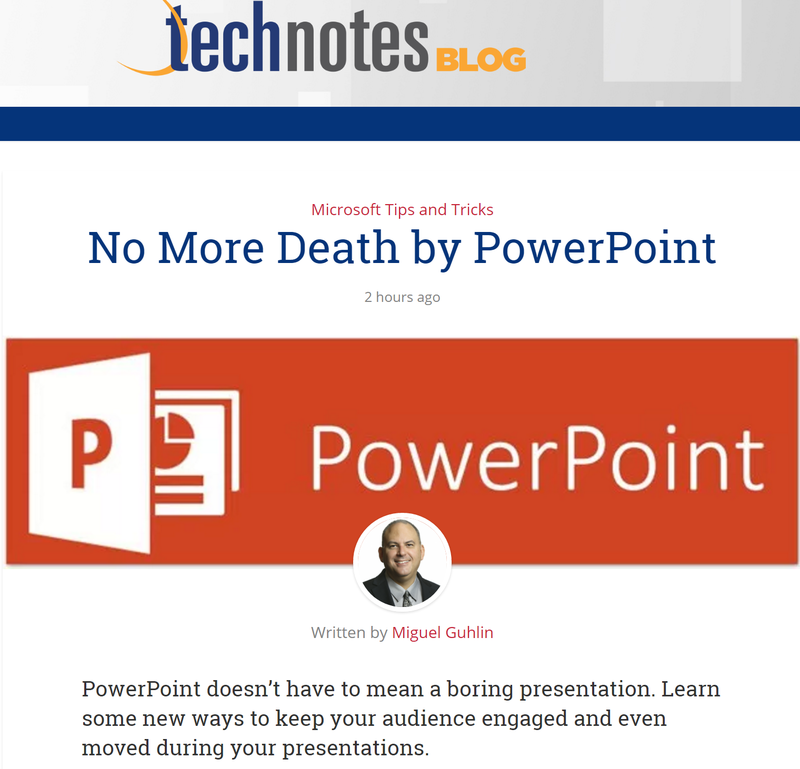 Read this blog entry offering Powerpoint tips! “No worries,” I said to my captive cafeteria audience of teachers back in the 1990s. The extra long telephone cable ran from the cafeteria manager’s office, plugged into the modem on my laptop. “I saved my PowerPoint on the Internet and we can watch it that way.” For some of us, PowerPoint offered a way to ditch lovingly crafted, black-and-white overhead transparencies. PowerPoint had color and embedded videos and images incredibly easily. And, lest we forget, it was simple to share those files on the burgeoning web. Now, we hate PowerPoint, a symbol of a bloated, grumpy person who has so much to offer that we no longer want or need it. But is that really the story? Perhaps we put too much of the blame on the software and too little on ourselves. It’s not the program’s fault if those who use it #fail. It’s time to revisit our friend from yesteryear and explore the anatomy of PowerPoint productivity. “No worries,” I said to my captive cafeteria audience of teachers back in the 1990s. The extra long telephone cable ran from the cafeteria manager’s office, plugged into the modem on my laptop. “I saved my PowerPoint on the Internet and we can watch it that way.” For some of us, PowerPoint offered a way to ditch lovingly crafted, black-and-white overhead transparencies. PowerPoint had color and embedded videos and images incredibly easily. And, lest we forget, it was simple to share those files on the burgeoning web. Now, we hate PowerPoint, a symbol of a bloated, grumpy person who has so much to offer that we no longer want or need it. But is that really the story? Perhaps we put too much of the blame on the software and too little on ourselves. It’s not the program’s fault if those who use it #fail. It’s time to revisit our friend from yesteryear and explore the anatomy of PowerPoint productivity. Note: Welcome to this ongoing series on productivity tools for leaders and do-ers. Check back often to see more! Tears running down her face, the Dances with the Stars judge looked at the winded dancer and celebrity Rashad Jennings. “I felt your dance, you emoted…emotion=emotion.” As Rashad pointed out, “I honestly felt like I was translating a message…It takes you back to what actually transpired in your life.” That’s what a powerful presentation can do, and to accomplish that, it takes YOU. Use a powerful story to connect with the audience. Find the underdog in the story and tell it from that perspective. Use images that create insight into the feelings and learnings of the story. Use a word or phrase to capture a thought, to let those gathered around your fire listening to the tale. Dramatize your tale; don’t be afraid to get excited, to lower your voice as you reach a sad point in the story, or to smile as there is a happy ending. Invite participants to share what they’re thinking and feeling as it happens, using backchannel tools like TodaysMeet or Padlet. Ever watch a doctor on Grey’s Anatomy hesitate before asking for the right surgical instrument? Of course not! Before a doctor goes into a surgery, he reviews the case file and studies alternative procedures. Doctors know exactly what they are going to need and what they might need if all goes down the sink. They embody “Prior preparation prevents a poor PowerPoint!” Here is a curated list of tools to enhance your presentation, from audio insertion to templates and tips for Windows users. Right Click button: Get the same effect as clicking the right click button on your mouse by pressing the key between the CTRL and ALT on the right side of keyboard. This will give you the same menu you get with a right click on your mouse. Here are a few more keyboard shortcuts you may learn to treasure. When using custom templates for PowerPoint, you may need to add fonts to your Windows installation. Follow these instructions to add fonts. “Learners process video 60,000 times faster than text!” Make sure you embed short video clips when you want to get a point across quickly. Link to the video at the time you want (right-click to get “copy video URL at current time,” shown below). Snap a picture of the video and insert that into your slide, then link the picture using the video URL at current time. Create engaging pictures and images featuring information. Find copyright-friendly images online. Add music clips and sounds to enhance the mood. Find some online. Finally, don’t be afraid to assess the audience using one of the tools in this blog entry: High Five: Free Web-based Assessment Tools. Want to learn other ways to save time and be more productive at work? Attend the Productivity Tools for Administrators on Tuesday, May 9, 2017 in Austin. The one-day learning experience is guaranteed to provide you a wealth of hands-on activities to ensure you walk away with the tips and techniques you need to do more in less time. Register here. “What’s the biggest problem we face in achieving success on the 8th grade technology applications TEKS?” asked a district instructional technology specialist. That is a question that many of my education colleagues have been hoping to see answered in their lifetime. And the answer is: free technology curriculum! Read the rest of this blog entry online at TCEA TechNotes blog. “What’s the biggest problem we face in achieving success on the 8th grade technology applications TEKS?” asked a district instructional technology specialist. That is a question that many of my education colleagues have been hoping to see answered in their lifetime. And the answer is: free technology curriculum! While several curriculum providers have an online curriculum (Learning.com provides one excellent example), few are available at no charge to school districts. That is, until recently. Google has announced a free technology curriculum for grades 7-12. Let’s review some of its benefits. 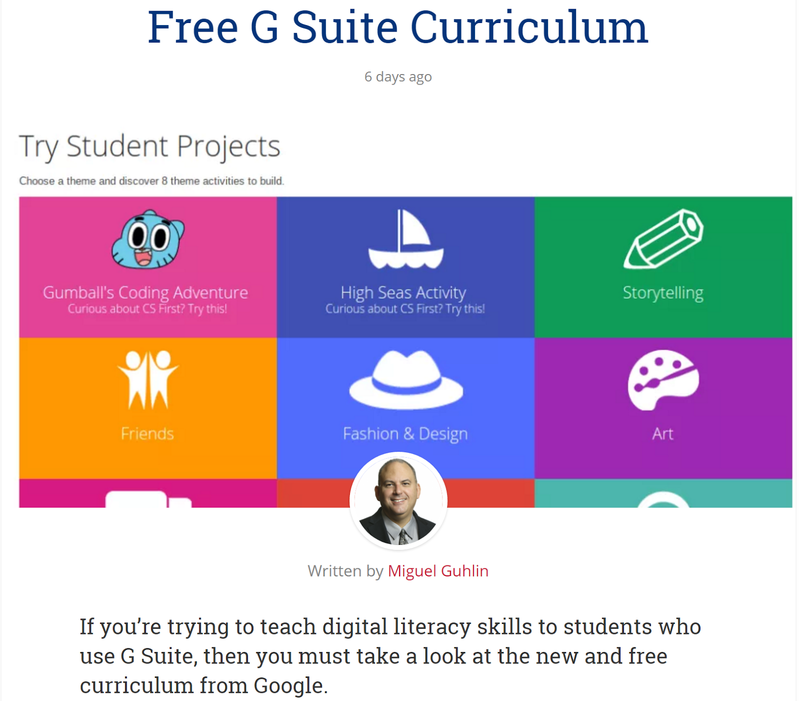 The new G Suite curriculum comes complete with instructional videos and creative projects. This will be a boon to educators who seek to prepare students for the world of work. 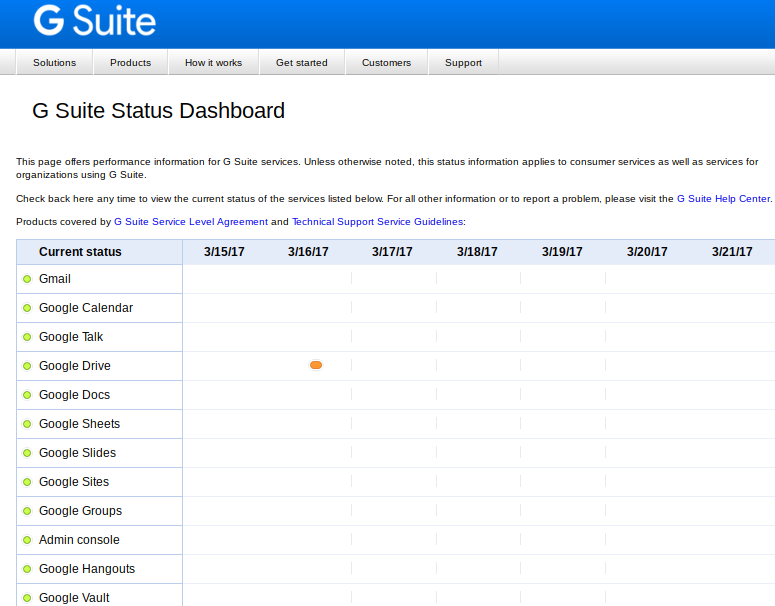 Of course, there is a focus on Google Suites for Education tools. Some of the creative projects include If/Then Adventures, which are reminiscent of the Choose Your Own Adventure print stories many of us grew up seeing on bookshelves. The If/Then Adventures video provides great examples that highlight coding connections. They also emphasize real-life connections to apps many of us may be familiar with, such as the Waze directions app. While watching the video, students can receive prompts known as “CS Alerts” that offer status updates and advise them what to do next or what is upcoming. Relying on activities that feature communication, collaboration, and research, students are able to work on projects and create together. This collaboration provides rich opportunities for joint and independent communication and research. What’s more, students are able to earn badges for activities they engage in. Take a look at the free Google Suites for Education curriculum for secondary students. How would you incorporate this to enhance teaching and learning in your classroom? Even if you aren’t a technology applications teacher, you can take advantage of these resources. 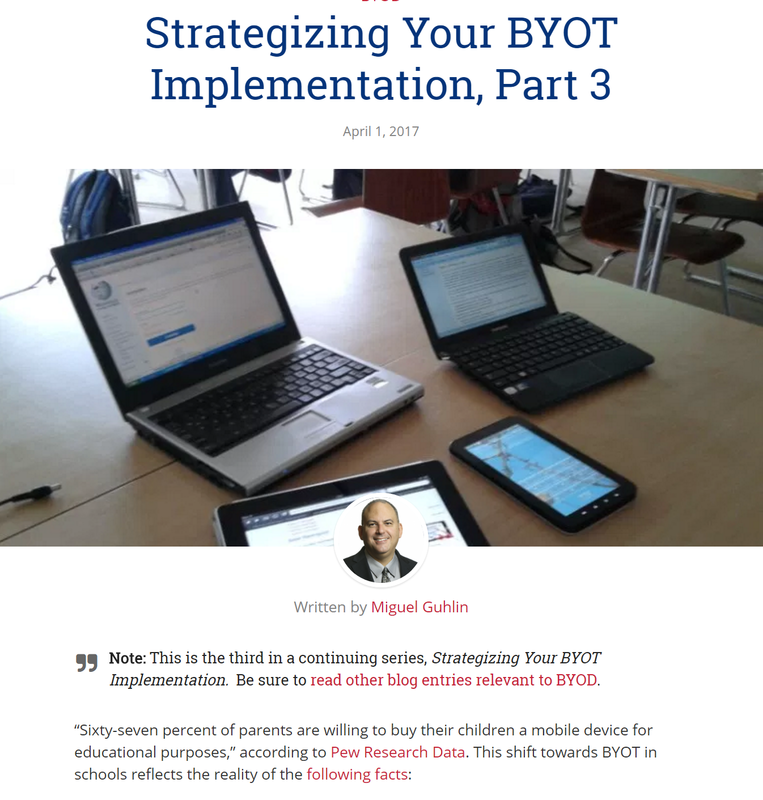 Note: This blog post is part of a continuing series, Strategizing Your BYOT Implementation. Be sure to read other blog entries relevant to BYOD. “We have spent three years in professionally developing teachers,” shares Dr. Joy Rosseau from Arp ISD, “on how to manage, deliver, create, implement, and appropriately select digital content, resources, and third party services to build on their TEKS and student needs.” Given BYOT in many school districts, helping teachers learn to deepen their blended learning expertise has become a priority for schools. A casual search reveals several Texas districts are already engaged in BYOT/BYOD implementations, such as Lewisville, Northwest, Abilene, Richardson, Fredericksburg, Judson, Lumberton, Allen, Elkhart, Nederland, and Harlingen ISD. Vocabulary Term: “Blended learning” is an instructional approach that includes a combination of online and face-to-face learning activities. Teachers should first have access to or have created digital content before students need to bring their own device. Teachers should work together, building expertise that caters to their students’ needs. Teacher lesson plans should reflect that they are at least working at LoTI Level 3 (and preferably Level 4b – comfortable with digital online resources). Screencasting tools (e.g. Screencast-o-Matic , Screencastify , Nimbus Screencapture/Screenrecording, Office Mix) make it easy to capture videos of your screen. Screencasting is also a great way to to provide feedback for digital authors, whether from teacher to student or student to student. Video reflection tools, great for assessment as well as content creation, include: Flipgrid.com , Recap, Vialogues, and VideoNot.es. Find out more about these. Interactive assessments with EdPuzzle and Educannon. 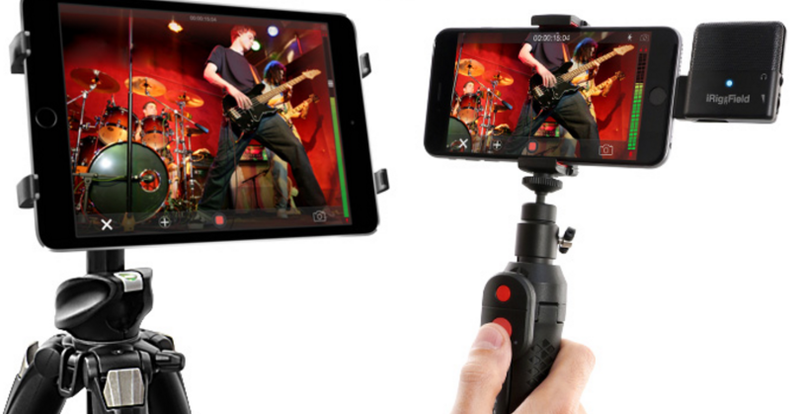 These last two allow you to use only what you need from any video, insert audio notes, or record over a video with your voice. You can add questions at any point in the video and track your students’ understanding. These make it imperative that teachers be supported in their implementation of BYOT instructional methods. “One and done” workshops or webinars are insufficient. At a Level 4, students are fully engaged in exploring real-world issues and solving authentic problems using digital tools and resources. The teacher is within his/her comfort level with promoting an inquiry-based model of teaching that involves students applying their learning to the real world. Student use of digital tools and resources enables them to answer student-generated questions that dictate the content, process, and products embedded in the learning experience. At Levels 5-6, collaborations extending beyond the classroom are employed for authentic student problem solving and issues resolution. The emphasis is placed on learner-centered strategies that promote personal goal setting and self-monitoring, student action, and collaborations with other diverse groups (e.g., another school, different cultures, business establishments, governmental agencies, etc.). Some might suggest that while BYOT environments enjoy Level 6 technology access, they are actually at a much lower level of teacher and student use of technology in support of academic learning. It’s not the technology that lags behind, but rather the professional learning that focuses on inquiry-based models and how digital tools and resources can enhance learning. Focus on inquiry-based learning and leverage technology for cooperative learning and problem solving at a distance. 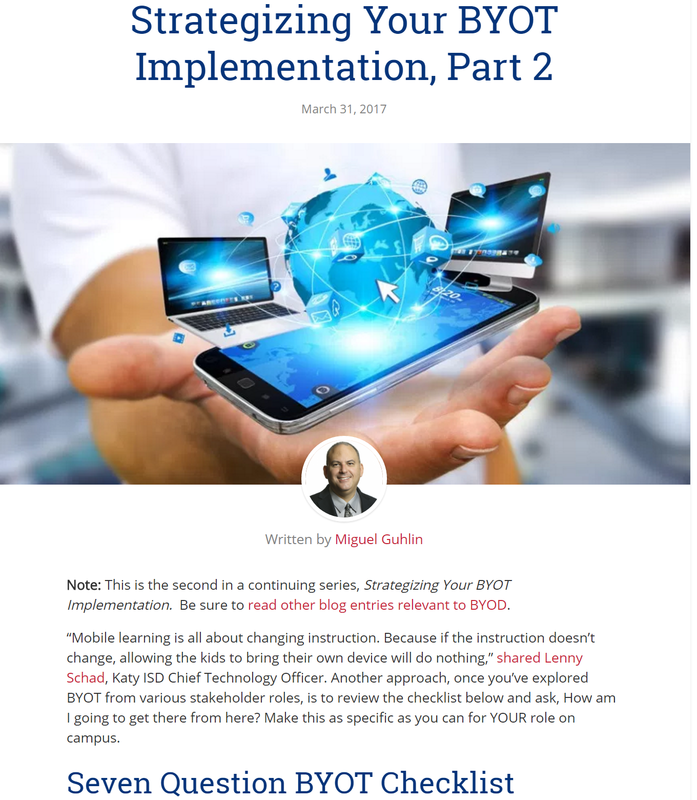 Note: This is the second in a continuing series, Strategizing Your BYOT Implementation. Be sure to read other blog entries relevant to BYOD. “Mobile learning is all about changing instruction. Because if the instruction doesn’t change, allowing the kids to bring their own device will do nothing,” shared Lenny Schad, Katy ISD Chief Technology Officer. Another approach, once you’ve explored BYOT from various stakeholder roles, is to review the checklist below and ask, How am I going to get there from here? Make this as specific as you can for YOUR role on campus. Read this blog entry in its entirety online at TCEA TechNotes’ Blog. Have you stopped, taken a breath, and thought about what BYOT means for YOU and your teachers, students, and parents? That’s a question that is screaming its way into the rarified atmosphere of public schools, like a cataclysmic meteor smashing tidy learning and technology plans. Still, many schools are now coming to terms, one way or another, with bring your own technology (BYOT). Bring your own technology intrigues many and frightens others. 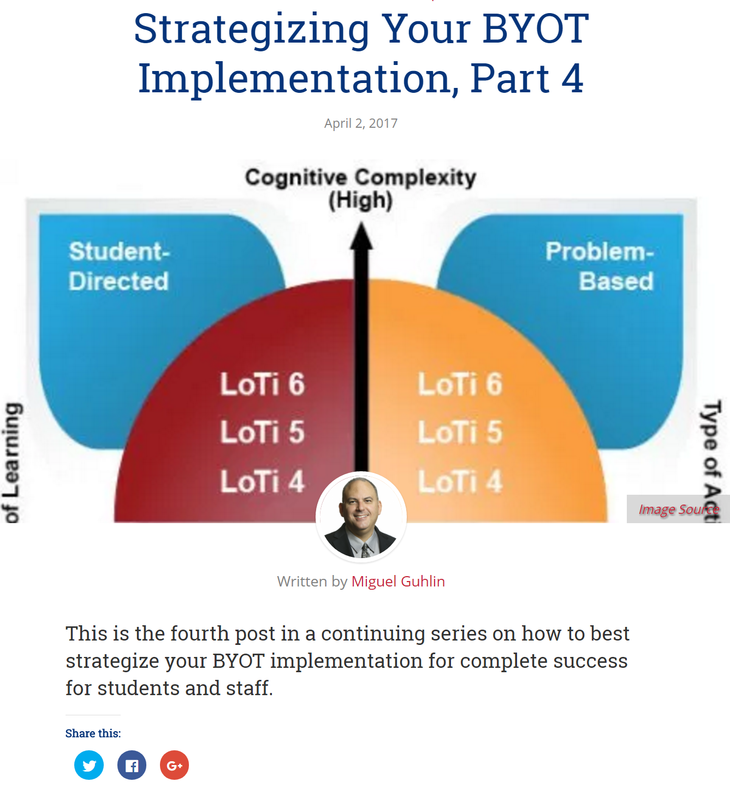 As a result of that fear and concern, campus leadership teams are compelled to craft a strategy to implement BYOT successfully. In a few weeks, students like John and Maria at a 5A high school will be bringing their own technology to school. While some teachers like Jennifer are excited about the possibilities—mainly, those that have taken the time to learn how to use the Read/Write Web to collaborate, create, and connect in alignment with academic goals—others like Rick are afraid things will not work as well. Rick is comfortable with students working with pencils and paper, not using their own devices. He is concerned about what they might do on them when he isn’t looking. James, the campus principal, recognizes the need for a campus strategy towards BYOT. He’s worried that teachers will fail to take advantage of BYOT in their lessons and its use will become a self-fulfilling prophecy. “Failure,” he points out with a smile, “isn’t an option in our small community.” This is a fact the district technology department and district leadership are well aware of as well. The Classroom Learning Activity Rubric is one instrument that’s been offered to help teachers employ strategies that take advantage of technology in the classroom. Parents like Ms. Jones (involved in the PTA) are wondering, “How will the school communicate with me about this and will there be a consistent message from campus leaders? Will that message match what teachers are saying and doing in the classroom when students misbehave?” So much is at stake, jobs are on the line, high stakes accountability is in play. At a time when technology is everywhere, teaching, learning, and leading with technology has real consequences. What is expected of me as a campus leader? How can I better support classroom teachers and encourage them to use BYOT? How can BYOT enhance instruction rather than become a self-fulfilling prophecy? How do I hold teachers accountable for what they are doing or not doing? The District should have a BYOT Support site with online resources focusing on facilitating online learning. The site should also include a webinar schedule, along with micro-credentialing or badges teachers can earn. Isn’t that a great poem? It’s not the complete piece, but I cobbled together my two favorite parts. Rather than see it as depressing, which may be one’s first impression, it is really quite uplifting. I’m reminded of Dr. M. Scott Peck’s line, “Life is difficult.” Once you accept that it is difficult, it loses it’s power over you. As a person whose brain is always “on,” a lifelong learner, I’m thrilled at the opportunities presented. There’s a bit of freedom in being a soldier, sent from place to place to facilitate learning, overcoming difficulties that are part and parcel of the work. 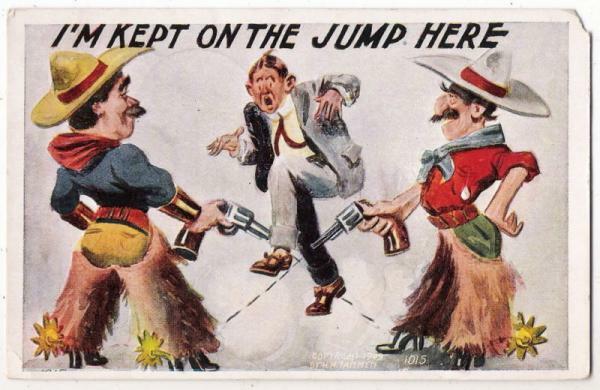 And, fortunately, it’s soldiering but it doesn’t involve blood and dying. Creating something in the face of adversity, in spite of the troubles…I often think that’s what we were created for. To bloom in spite of what may come. As any teacher knows, truly engaging learning is social. Whether we share what we have learned with others or we undertake the learning journey together, little true learning occurs in isolation. 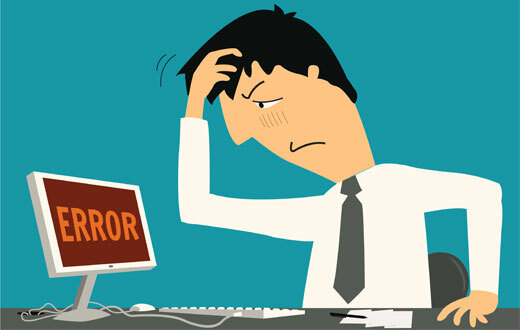 Online learning environments that fail to create a social learning space will therefore fail. As educators, we have to be careful to avoid trying to engage students in online learning environments with face-to-face approaches as.the effects of F2F engagement methods may be different than what we expect. Here are some tips that may be helpful to you in facilitating online social learning. Tip #1 – Address the logistics of the course. Streamline organization of the course by chunking or “modularizing” content. This makes it easy for learners to break off and then dive back into the learning that comes in bite-sized pieces (e.g. 5 minutes). Blend text, audio, and video into the content. For example, instead of just typing intro text for a welcome, use Voxer (audio example) , FlipGrid.com/Recap.com (video), or MS Sway with audio to create interactive content. These best practices enable your virtual students to work their way through the content for a specific topic within the overall course of study. Tools like Google Sites, Microsoft OneNote, and Slack (to mention a few) are great ways to create an online course. Whatever you use, you are creating a virtual space where course materials can be housed and, more importantly, interacted with. And, of course, Slack comes with a handy mobile app for quick anytime, anywhere access. Tip #2 – Blend multimedia into your online learning environment. “These videos and articles put so much more into place and answered many of the questions that I had,” shared one online course participant. You can accomplish this by including audio+picture or video testimonials from former students and course introductions by district facilitators. Drop audio/video recordings into the conversation. Participants love it when you mix it up! This kind of personalization helps build a real connection with course participants. Take advantage of screencasting and video recording tools. Tip #3 – Stay in touch. While you will be staying in touch with participants in discussion/chat forums, you can also send them updates via email. Two tools that can facilitate connections include the following Google Sheets add-ons: Yet Another Mail Merge and formMule . Both work as bulk email tools that make it easy to send information out. Tip #4 – Set up a technical support forum. If someone hasn’t logged in, don’t hesitate to pick up the phone and call them or send an email a day until they respond. The power of support forums is that when your online learners start to come together as a community of learners, they start to help each other out and respond to each other’s problems. Tip #5 – Scaffold learning conversations. Part of your scaffolding and support involves providing regular feedback and interacting with participants online. This is especially important up front since your level of activity serves as a model for the level of interaction students will exhibit when you are present, but not as active. This initial high interactivity sloping down to omni-presence enables participants to learn to rely on each other for answers, rather than you. Another tip includes summarizing, or landscaping, the ongoing chat. And don’t be afraid to remind everyone what expectations are at regular intervals (such as at the start point, midpoint, and end-point). This helps everyone stay focused. Tip #6 – Avoid question lists. Focus discussions around ONE central question that resembles an ill-structured problem, very much like the PBL method. For example, consider how many questions are introduced in this discussion prompt. Each question achieves equal status for the participant; how could one question or scenario help participants focus? Tip #7 – Encourage self-reliance. Encourage people to discover each other’s strengths and what they each have to bring to the table. One of the most rewarding aspects of online learning conversations is that people discover each other, and themselves, online. As online learners discover the benefits of learning online for themselves–especially when they work with other people–that positive reaction will engulf your online professional learning program. 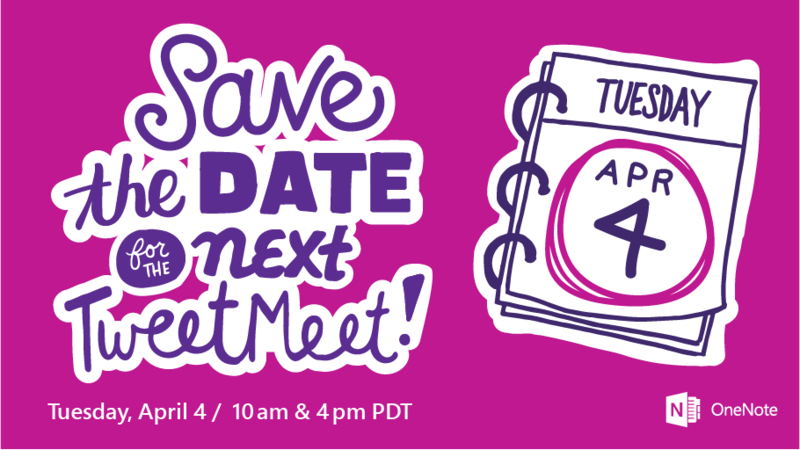 What’s a tweetmeet? An opportunity to have a panel of folks share their insights into a series of topics. I’m looking forward to the opportunity to participate in a tweetmeet organized by Marjolein Hoekstra (@onenoteC). Wow, what an awesome opportunity to connect with other educators serving as hosts, as well as the international community! Topic: Embedding Content in #OneNote! I love the work Marjolein has done in organizing the TweetMeet, putting everything in a OneNote Notebook so everyone can collaborate on it. 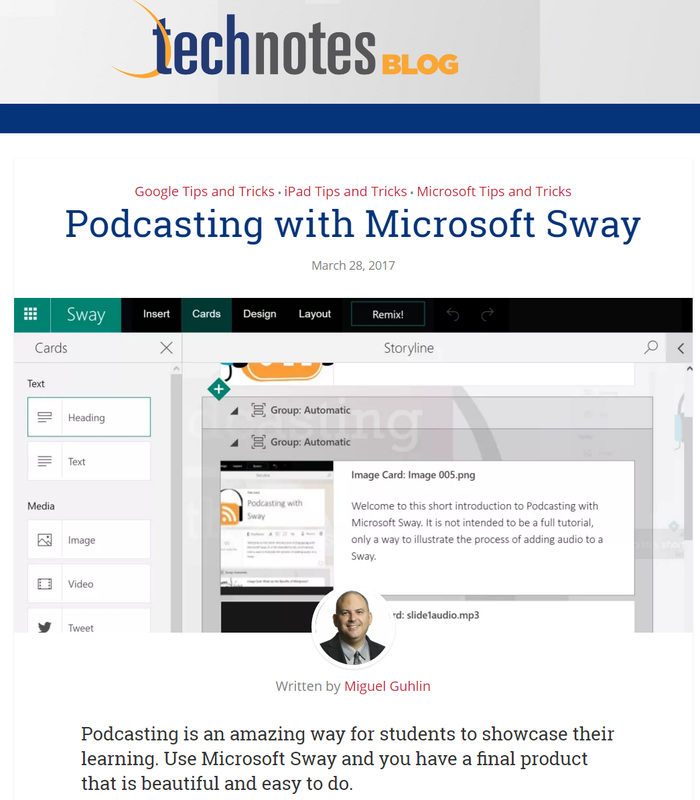 And, we also put together a Microsoft Sway featuring audio to capture the excitement! I had a bit of fun recording my audio…no doubt, the link to the Sway will appear in the days to come! For now, here’s a teaser…. Ever created a podcast before? 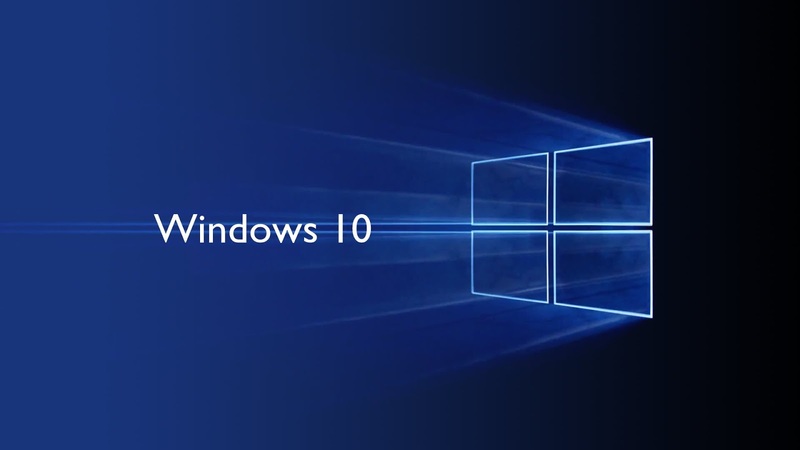 Now you can do so easily with Microsoft Sway. 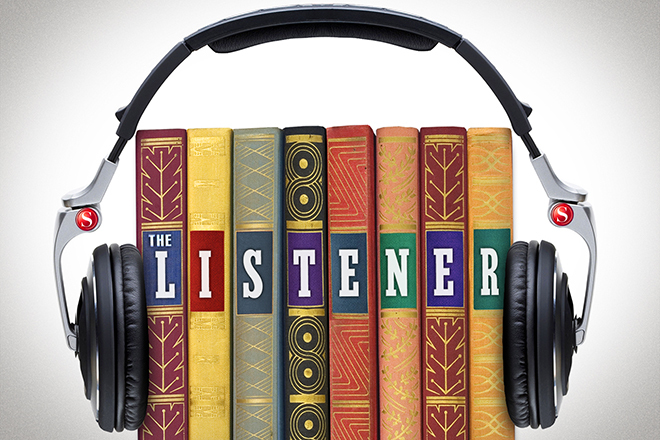 You may not be aware of it, but Microsoft added some new features to the web version of MS Sway that make it ideal for audio-narrated images, also known as enhanced podcasts. Of course, Sway enables you to add tons of great content (e.g. Twitter streams, video, embedded content) aside from images and audio. This blog entry focuses on audio and images. Read the Rest Online at TCEA TechNotes blog. Earlier this year, I explored Professional Learning and Development research, suggesting a Professional Development Planner that could help others plan adult learning opportunities. When colleague John Bimmerle sent me this article, Why Good Professional Development Still Fails, I read it with avid interest. The conclusion? Research showed that professional development, even when it followed the 7 principles of effective PD, did NOT impact student achievement. Provide support for teachers during the implementation stage of using a new instructional method in the classroom. (Gulamhussein). Be engaging and use varied approaches to support learning for both groups and individuals.(Gulamhussein). Engage in inquiry-based investigations integrated into a competency-based online course. 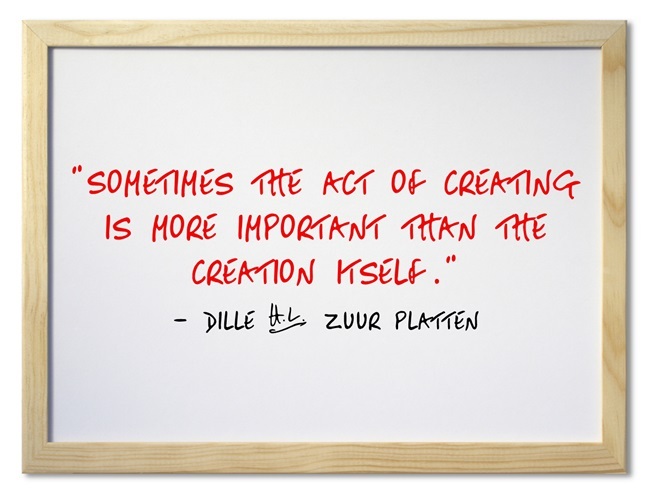 Create a learning product, such as lesson plans or student activities. 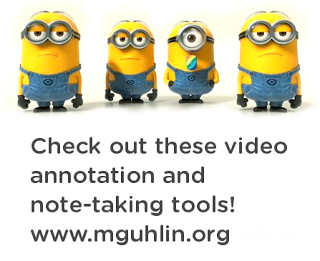 Implement and test their learning product directly in the classroom with students. Upload the evidence of classroom practice, student work and learning. Simply, you’ll learn more if you leverage technology to engage with other learners collaborating on inquiry-based problem with a tangible result. And, whatever teachers learn should be used in the classroom with actual students. Finally, we learn not by experience but by reflecting on our experience as John Dewey pointed out. A series of recent, rigorous, randomised-controlled studies of professional development programmes–that incorporated all the ingredients suggested by reviews of the evidence and were thoughtfully designed, carefully implemented and significant investment, these programmes led to no discernible improvements in student learning. Summer training, coaching and follow-up seminars over two years changed neither teacher knowledge nor student achievement. What it boils down to, as the article suggests, is that professional development did not result in a change in teaching practices, and therefore, no impact on student achievement. Reflective blogging that takes a hard look at what you’re doing day in and out for the sake of getting better. I’m NOT talking about the blogging prevalent today, focused on sharing the latest “Wow, isn’t this cool!” app to build one’s brand so you can become a consultant or get business. Yes, I’m guilty, too, so I know how easy it is to write those blog entries. Achieving transformation via reflection is hard work. Provide in-classroom coaching support (the stats on coaching cannot be ignored!) 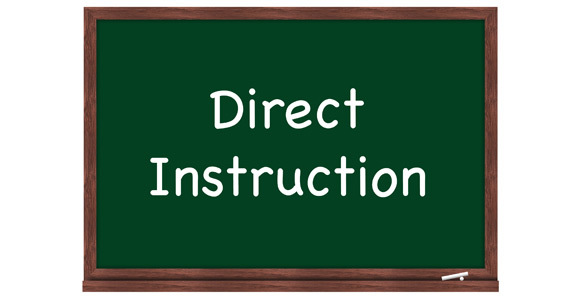 during implementation of a new instructional method or strategy. This includes modeling by the coach. Reflection afterwards is a must. Provide specific instructional support during professional learning and a wealth of resources. Build a support network and nurture relationships among all learners. This isn’t a tough formula to figure out, just a hard one to implement consistently. We often learn in spite of our teachers…our goal in professional development isn’t to make that process harder, but to minimize the obstacles human beings face when learning. Six sources of influence anyone? “Miguel,” a dear friend and colleague asked me, “Have you read the new superintendent’s book?” At my blank stare and smile, she pointed to the Simon Sinek book in her hand entitled, Leaders Eat Last. I felt my hackles rise as my instinctive dislike of mis-applied lessons from other fields made my gorge rise. 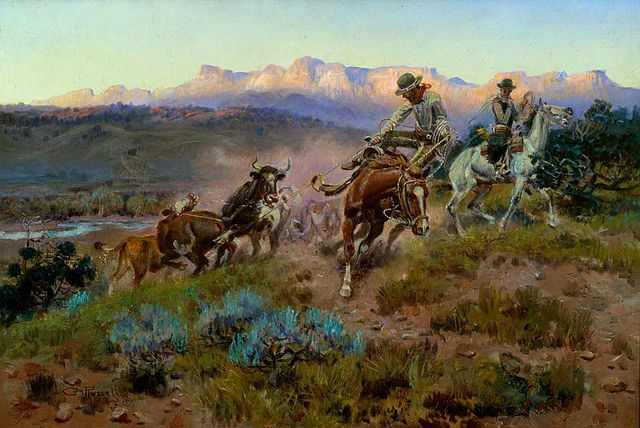 This post featured by folks at TexasISD.com! Thanks! Aside: Another perspective for your consideration. Some times, no amount of advice is good enough to get you through an unwholesome situation. “Do you really want to work with a crazy “leader?” The answer is, “Heck, NO!” Leave, go be happy somewhere else and let the sycophants hang around and wonder, “Why did we persist in this folly?” What’s even worse is school boards that endorse a superintendent who looks good while destroying the people. For me, that’s the measure of success…an organization that nurtures its people (faculty, students) succeeds, while an organization that beats people up because they’re not dancing to a new tune played to six-shooters popping off at their feet, will not. Over time, I’ve learned it’s better to shake the dust off your feet and keep moving! It’s biblical advice! Having worked in multiple school districts, I’ve seen the reins of power change hands multiple times. Given the fact that superintendents change quite frequently these days–every 3.6 years as of 2010 according to one report, which cites that as an improvement from 2.5 years in 1999. One of the key elements in running a successful district is stability. So if you have a revolving door, it’s counterproductive, and there’s never a chance to establish reforms or create programs that make a difference. Even a three-year period of time is inadequate.” (Source). In my time, I’ve seen several types of leaders and witnessed the transition. Build infrastructure that will support instructional efforts. Is your district 100% wireless? If 100% wireless, does each campus enjoy wireless LAN controllers that support increased bandwidth? Have you placed sufficient wireless access points in classrooms, libraries, cafeterias, and other key meeting locations? These are only some of the questions you need to take into account. Be transparent and visible about what you’re doing to address the district’s needs. As much as possible, share what is happening, especially when you or your team is goofing up or moving slowly. A key performance indicator (KPI) dashboard should be something you have, even if it’s just a web page reflecting Helpdesk stats in a Google Sheet. Try to get teachers and students to present to the school board. Whenever you can, get other people in front of the school board and leadership to share what a great job you are doing supporting their success. “Those who hope to open a store must also be prepared to smile,” goes the old saying. This paraphrase of an old saying reminds you that if you’re going to work at Central Office, you must be prepared to smile and build relationships, even with those you do not like. Building relationships with district stakeholders, and, in particular, the superintendent and cabinet, remains paramount. Forget it at your peril. Calling All San Antonio, Austin Area @Adobe Learners! 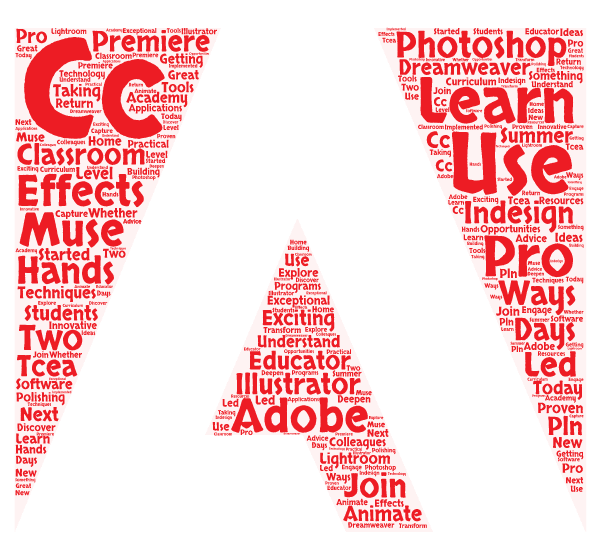 Looking for hands-on learning on important Adobe products? Maybe you need some tips and tricks to streamline your workflow? Developing new workflows by learning through trial and error can take time you may not be able to spend. Instead, accelerate your Adobe learning and join TCEA members at the 2017 Adobe Academy! You will learn how to learn more, tweak your workflows for Adobe products, and get fresh ideas for teaching Adobe products to your students. Finally, you will build relationships with other educators who use Adobe. TCEA’s 2017 Adobe Academy will help you resolve a variety of issues. This two-day academy is designed specifically for those in the K-16 education arena who seek a better grasp of how Adobe tools can enhance their work. The Adobe Academy will take place June 20-21, 2017 at the TCEA headquarters in Austin. This day will be packed full of helpful information that you can implement the next day at work. Doing More with Adobe – These sessions focus on helping you prepare for deeper use of critical tools like Photoshop and Illustrator. Adobe in the Classroom – These sessions will help you share strategies with students on how to get certified via Adobe Certification Associate Exams, as well as emphasize the use of Adobe in the classroom. Adobe Engagement – Learn how tools like Adobe Spark can be used to create engaging web stories, creating enthralling animated videos and more. You can register online at a cost of only $239. TCEA will provide lunch for both days. What’s more, each paid registration will receive a one-year TCEA membership, access to all session materials, and membership in the TCEA Adobe Academy community! Note: The Call for Proposals is still open, so if you would like to share your Adobe insights, then please submit your proposal(s) before May 12, 2017. We hope you will be among the many who present, and/or learn, at the academy! Don’t wait until the last minute to register as space is limited. 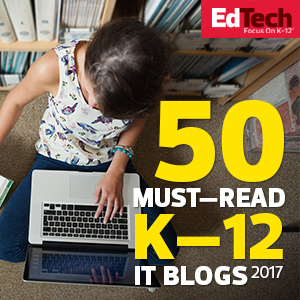 Wow, how tremendous to see so many Texans featured in The 2017 Honor Roll: EdTech’s Must-Read K–12 IT Blogs article by Meghan Bogardus Cortez (@megbcortez)! Now, there are a lot of awesome folks on the list of 50, but I have to stop a moment and celebrate the fact that there are two Texas organization blogs (e.g. TCEA, Keller ISD) as well as 4 Texans! Woohoo! TCEA’s TechNotes Blog (@tcea): This features the creative efforts of my work colleagues, Lori Gracey, Dr. Bruce Ellis, Peggy Reimers, Diana Benner, and other TCEA team members! Way to go! 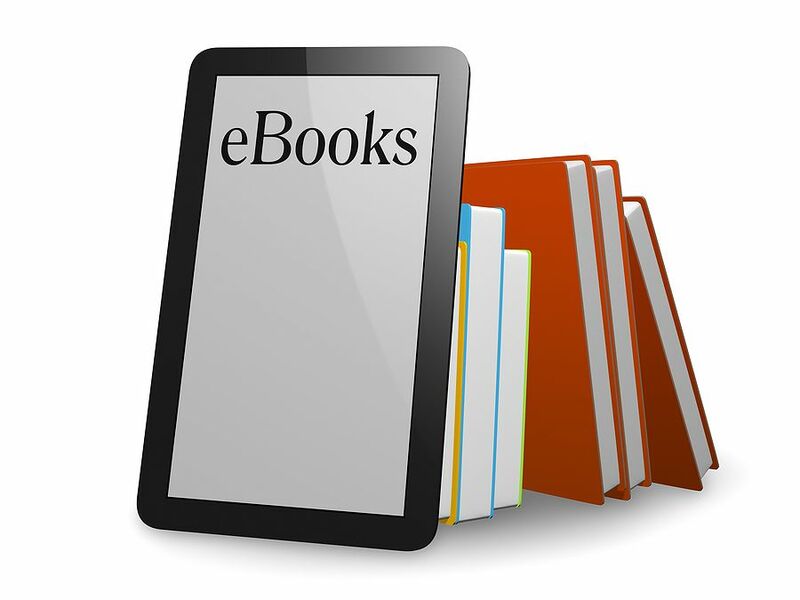 Keller ISD Digital Learning Blog (@kellerisdpd): I regret that I don’t read this blog myself, but will be adding them to my list of must-reads in my RSS aggregator! Finally, what a delight to see old friends like Dr. Scott Mcleod (@mcleod | Dangerously Irrelevant), Tim Stahmer (@timstahmer | Assorted Stuff) and Eric Curts, (@ericcurts) and his blog, Ctrl-Alt-Achieve, featured! I’ve been reading Assorted Stuff for AGES. Tim must be really old now. And, of course, I’m looking forward to reading some new folks, picking up on fresh perspectives! To express yourself with clarity, write first. When you write first, you are able to order the chaos from which creativity emerges, often shy and silent, or bold and beautifully obnoxious. . .and every sparkle or shade in between. As a writer, I’ve seen others explore their ideas aloud, not unlike a writer struggling for the right words. Unfortunately, words spoken aloud are often lost. A speaker, shaping ideas aloud in thin air, must keep his ideas simple, to the point or lose the listener. 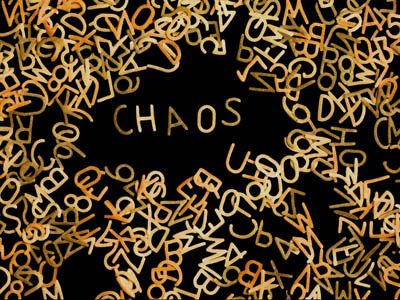 A writer disgorges a detritus of ideas, form the flow, filtering and clearing away the non-essential. Then, seeking fresh ideas, pick through the pile again, seeing which ideas may give a reader pause, which may be repurposed to feed a wolfling thought. “If I had more time, I would have written less.” This popular quote, paraphrased from the original, highlights brevity in communication. Say only what is necessary to make the point, nothing more. 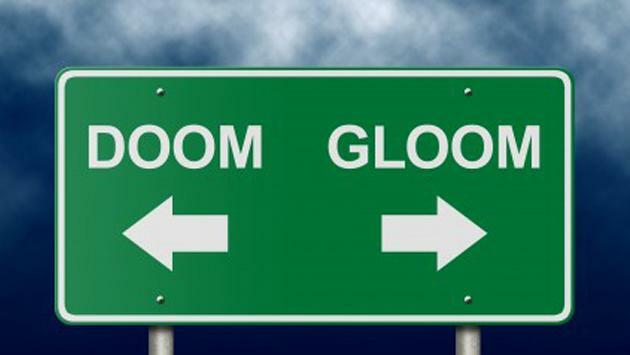 While politicians seek to obfuscate, writers seek clarity. Often, that can be best achieved through brevity, the removal of the non-essential. Writing may be likened to minimalism, which is sparseness and simplicity by design. 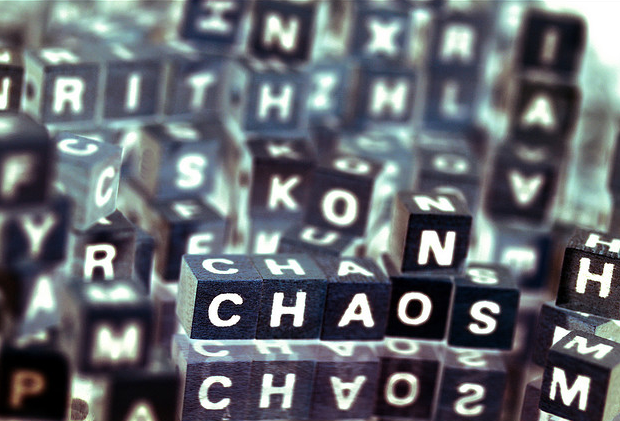 Writing in search of clarity means that we need not be like Zeus with fully-formed ideas springing from our minds to do war upon on the befuddled masses. Rather, we are in the Creator’s image, stirring the murky depths, crafting beautiful horrors that exist in balance with the heart of the whole. If you are interested in applying for the grant, be sure to complete the required task and budget templates. When complete, return to kerry.ballast@tea.texas.gov by 5:00 p.m. CST, April 24, 2017. You will be asked to provide primary contact information, a proposed timeline, and a budget. The latter two most follow the supplied templates for each item. 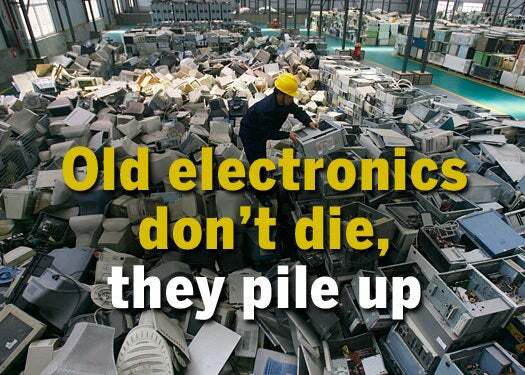 How are you managing smart technologies? 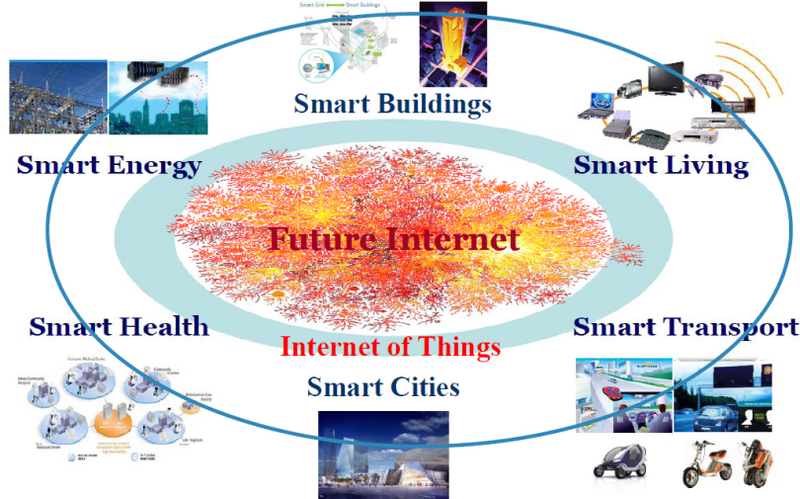 Are you prepared for the Internet of Things (IoT) onslaught of fifty billion devices by 2020? That’s less than three years away! Forty-six percent of K–12 and higher ed Chief Technology Officers believe that smart technologies, including the IoT devices, will have a major impact on education. Join us at TCEA for a facilitated conversation with experts, vendors, and your peers regarding the Internet of Things, the management of smart technologies in schools, and planning tips to ensure successful implementation. Mark Your Calendars! The 2017 TCEA Technology Leadership Summit is scheduled for Friday, May 12, 2017. Register now for this one-time learning opportunity. Some of the smart technologies include interactive whiteboards, copiers, video cameras, tablets, smart HVAC systems, electric lighting/maintenance, temperature sensors, attendance tracking, and wireless door locks. These are just a few of the many IoT devices that will soon be appearing in your district. How you being implementing and managing this technology is the key to how successful you will be with this initiative. Taking no action is not an option. So be sure to join us on May 12, 2017 and learn what you can do to prepare for this next challenge. TCEA is committed to creating professional learning and networking opportunities that address the specific needs of Chief Technology Officers and Directors/Coordinators of Technology in K-16 education institutions. Regardless of your district’s size, you will gain all of the information you will need to ensure that IoT devices work for your staff and students and not against you. Be sure to join your colleagues at the Friday, May 12, 2017 event. 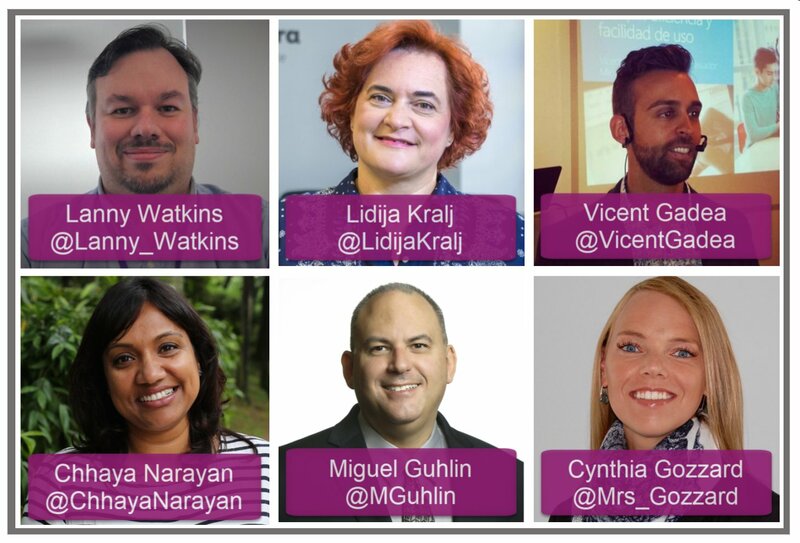 Not able to attend the incredible Microsoft Education Exchange (E2) event in Toronto, Canada? No problem! Tune in on Day 2 of the event (March 22nd) to view/listen to the live-stream of the keynote! 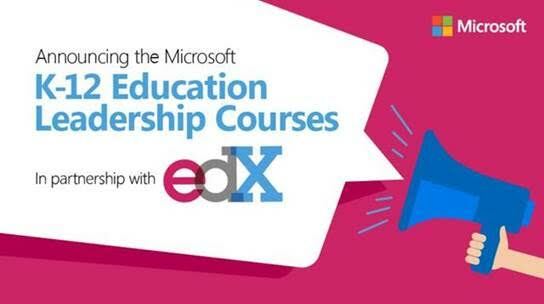 Microsoft’s E2 – Education Exchange is opening its doors and inviting all educators to join us on March 22, 2017, at 9:00a.m. EDT! Are you an Adobe expert? Consider sharing some of your expertise with others at the TCEA 2017 Adobe Academy (June 20-21, 2017). The call for proposals is open now for innovators like you! I invite you to present at the TCEA 2017 Adobe Academy where you can help other educators benefit from your experiences, whether your session ranges from beginner to intermediate and/or advanced. The TCEA 2017 Adobe Academy Call for Proposals is open now through May 12, 2017. We hope you will be among the many who present, and/or learn, at the Academy! Don’t wait until the last minute…. Helping children learn to cite photos and resources from the web is but one aspect of digital citizenship. A less easy topic, but perhaps more important because of that, is actively modeling digital safety and privacy. Recent attack vectors have left educators reeling from massive data breaches due to ignorance and a lack of consistent procedures for safeguarding sensitive data. Data availability (including students who may not yet enter the workforce, so their identities can be stolen). School districts often lack the funding to pay for sophisticated systems to defend against attacks, as well as the people to pay for them. In fact, regional service centers may lack adequate funding and staffing as well. End users are untrained as to how to best protect against social engineering, phishing, and other types of attacks since it’s not their job to learn data encryption. To address the final bullet, some actions educators can take to minimize risks are given below. Phishing, which has grown by 33 percent over the last year, involves fooling someone into providing their login credentials and/or confidential data. Recommendation: Do not provide your login credentials to anyone and NEVER send unencrypted confidential data via the Internet. Encrypt data first and then pick up the phone to speak to the other person FIRST. This is true even if you know the other person well (Source: New Gmail Phishing Attack). It cannot hurt to ask the other person first why they need access to this sensitive data. At the very least, you must exchange the encryption password. Just as hackers employ encryption to deny access to data on an ransomware-infected machine, so can educators and students learn to use encryption to prevent unauthorized access to data. Popular data encryption tools are available that enable educators, regardless of device, to secure their data from prying eyes. And in the likely event that data is stolen or accessed, the thieves will be unable to do anything with the encrypted data. Recommendation: Establish procedures for handling sensitive data in your classroom and/or office. Ensure that data containing personally identifiable information (PII), as well as usernames/passwords to popular services, is encrypted. You can use a text file to put all your usernames and passwords into; just make sure it is encrypted. Use Secure Space Encryptor (SSE) on Mac, Windows, iOS and Android devices. Chromebook users should rely on Minilock, a Chrome add-on. As schools become data-driven, putting security processes in place becomes an imperative. In fact, if you can walk into an office or classroom and get a username and password for any district information system, that’s a problem. Schools must also keep in mind that students may be one of the people who can leak logins and passwords. 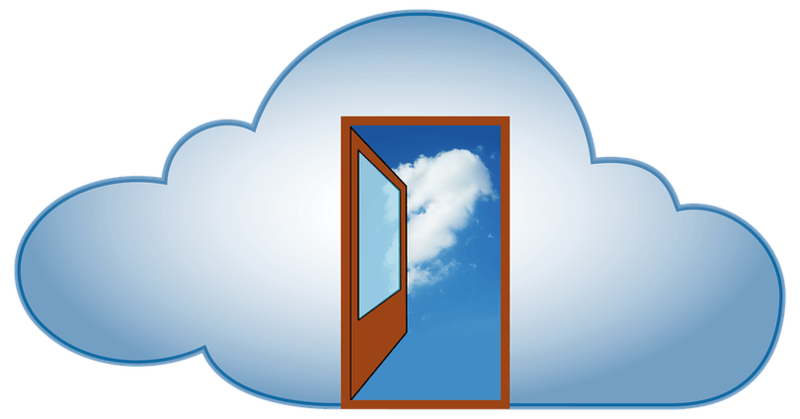 It’s all too easy for a student to walk into a classroom, look under their teacher’s keyboard, and get access to the Google Suites for Education or Microsoft O365 username and password. Recommendation: Secure your passwords using a “password database” (e.g. Keepass, LastPass, 1Password). These are encrypted locations or files that are encrypted. They are also convenient; you need only remember one password to access the encrypted database containing your usernames and passwords. Make sure to log out of open systems on your device, whether it’s a computer or smartphone. “She just went ahead and clicked the malware email,” said the network engineer. “‘Why did you click it?’ I asked her and she said “It look relevant, even if it was in my spam folder.” Most email programs and/or services will provide you with a warning. For example, Google features “Safe Browsing” which throws up a red sign when you encounter phishing attacks. Keep in mind that there’s generally a good reason for something to be in your spam. While many are waking up to the importance of digital citizenship, data privacy and security remain nebulous, techie subjects. Explode the myth with access to online curriculum that can coach you and improve your skills. You can read this privacy ebook for educators (free), facilitate professional learning opportunities using Me and My Shadow’s curriculum, as well as conduct a thorough review of how data is managed in your environment. Finally, make every effort to model for staff and students simple ways that data can be protected. Safeguarding our children’s education remains paramount, but you can’t teach in an unsafe environment. Protect, educate, and model digital safety. This past week, I’ve been focused on enhancing my own learning and sharing some ideas that I’ve been picking up for years! It’s always fun to revisit and repackage great ideas. It’s sort of like playing with that slime goo you give kids…stick your hands in and mold away! (then watch it collapse and lose form, which is what’s nice about blogging ideas since they remain in semi-permanent state). In this blog entry, I introduce a new Flipboard magazine (which astonishingly acquired quite a few readers in one day) that seeks to capture these ideas, as well as share my professional development/learning series. centered on andragogy (adult learning strategies)? 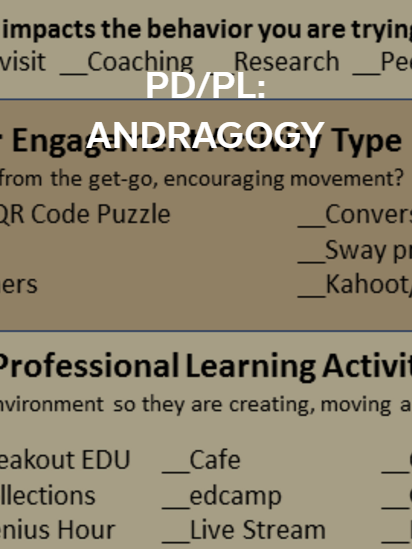 Read this Flipboard-based Magazine, PD/PL: Andragogy, on your mobile device! When I scanned my Twitter feed this morning, as I pondered whether I really wanted to get up at 3:00AM, I realized that I had missed one of the most important twitterchats ever! Yikes! 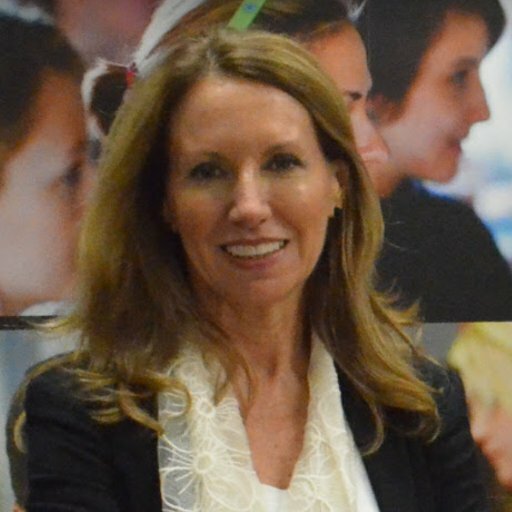 In truth, I missed two chats last night–Michelle Moore’s (@Michelle4EDU) #HCPSTEACH and #EvenTalk–that I had been invited to participate in. 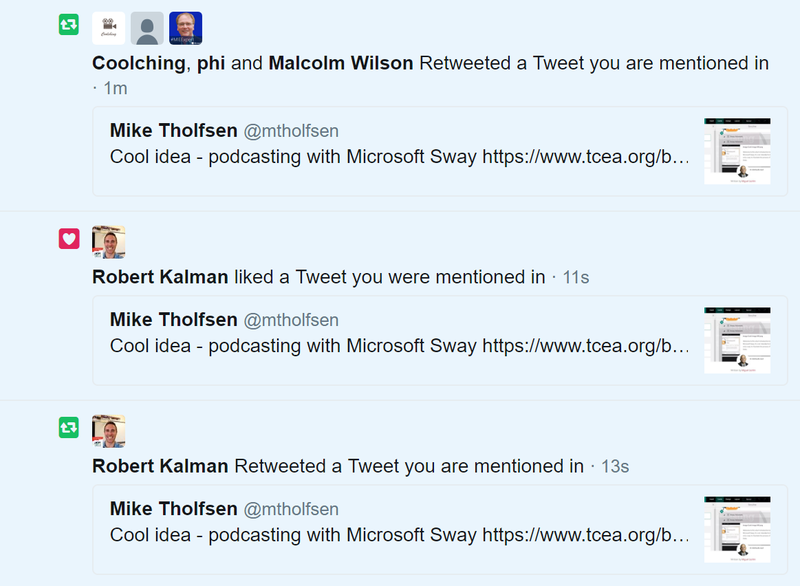 (And, we won’t even mention OneNote twitterchat and MinecraftEDU chats!). Still, continuing this week’s focus on professional development, professional learning, I couldn’t help but be drawn to the excellent conversation around the #HCPSTEACH questions. Since I couldn’t participate (catching up on sleep after an arduous week driving to Austin and presenting at TASBO17 conference, the latter was a lot of fun! ), I thought I might take a quick >140 character stab at responding to these questions. Q1: What can we personally do with our own learning to be sure learning sticks and impacts students? Ensure engagement and movement right out of the starting gate. Learning can be a race as the learner begins his/her lap around the track. On one side, learners are running out of energy, time, and the sheer willpower to continue. My thinking on making learning stick for me is simple–I have to be emotionally engaged, able to write/talk and then reflect, then apply new learning in a situation I devise. But learning has to be more than just about student’ personal motivation. 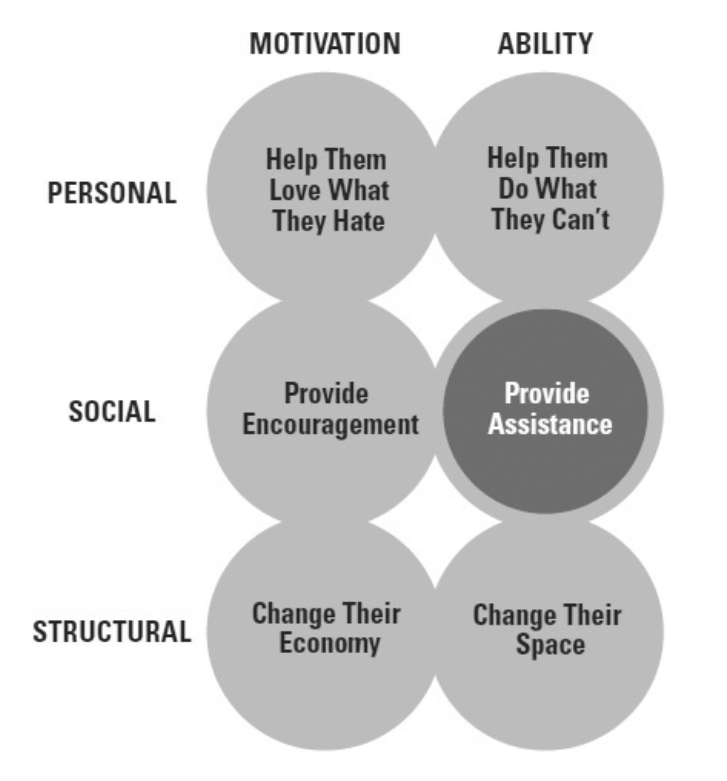 As you can see, learners need a little more than just their own personal motivation (help them love what they hate) and coaching on ability (help them do what they can’t). With Pr/PBL approaches, you can get learners personally motivated and provide mini-lessons to help them learn to do what they can’t. Teachers can also work with students one on one, although it becomes harder in departmentalized settings, to provide necessary encouragement and assistance (social). But it’s more effective if a peer member acts in this dimension. How can educators make it easier for students take on the role of learning advocates? Q2: When have you successfully struggled with implementing a new topic/strategy? How did the process help you grow? It’s amazing, I find that I have struggled quite a bit with a variety of topics or strategies. One challenge I faced recently included adapting a workshop designed in one way to include activities and engagement strategies that better met the needs of participants. That is, I taught it the way I was supposed to teach it, then realized it wasn’t working. So, I asked myself, discussed with colleagues, and realized that my first duty was to my learners, not the curriculum. At that moment, I redesigned the day of activities to better meet the needs of learners…and the results were tremendous! 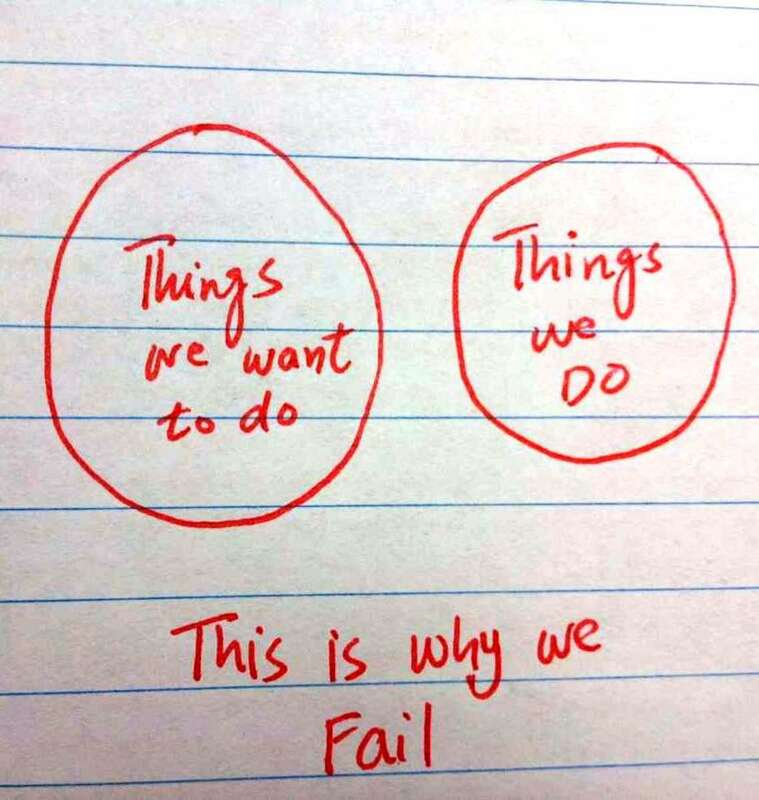 “Go through your learning activities from the learners’ perspective,” shared a colleague, “then make changes accordingly.” Going through that process helped me become more centered on the learners rather than what I wanted them to do. I realized there needed to be more choice and movement so that learners could make meaningful learning of what was made available to them. 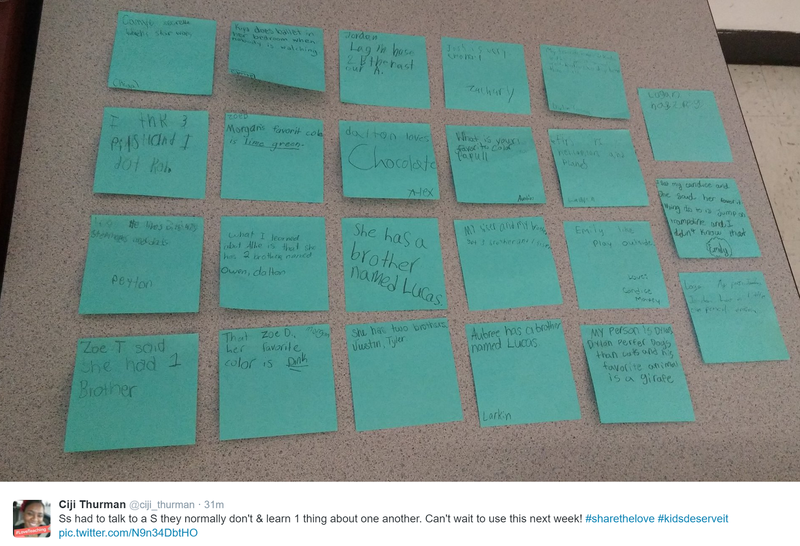 Love this “traditional” way of encouraging learners to pick up something new from each other. Of course, you could do it with a Padlet, right? Or Google Draw? Some non-traditional things that I have done to provide implementation support involve technology. In fact, creating blended learning experiences that mix face to face and online ongoing, intensive professional learning make a big difference. That’s because it’s about building community among learners, relationships with individuals and making activities like coaching and peer observation possible. 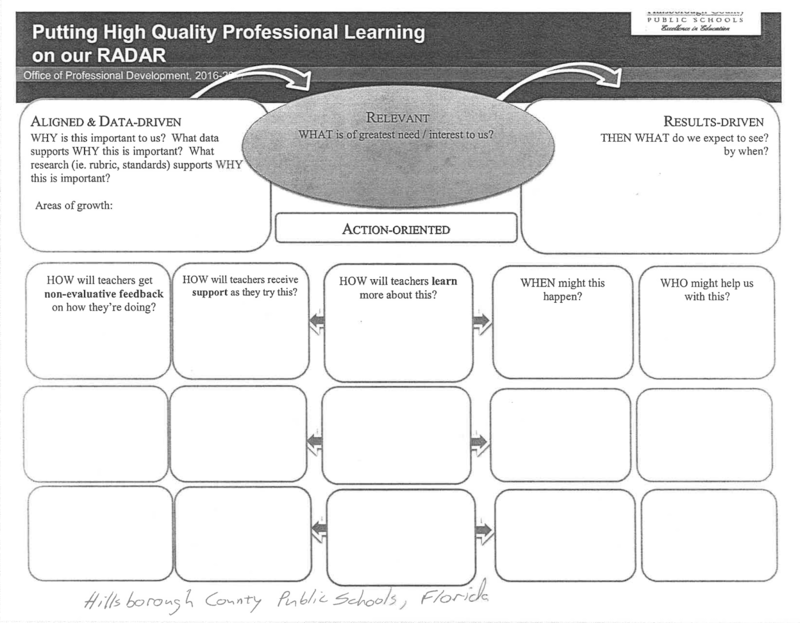 Love this document from Hillsborough County Public Schools in Florida! Q4: Share examples of great trainings that you have provided/attended. What made them a strong experience? The key is to structure professional learning so that it empowers individuals to act independently and to make their own free choices within the context of a learning opportunity. At the end of a series of professional learning, participants leave empowered and enthusiastic, wanting to do more to expand on what they have done in the professional learning. Invariably, problem-based learning and project-based learning have yielded these results. That says a lot about PBL for use with adult learners. Q5: If you could structure a professional learning opportunity, what would it include or look like? I absolutely LOVE this question. Now, structuring a session like this may often be a function of time and energy…as the facilitator, do you have enough of each to spend it as you see fit? But given time and energy, which you can marshal effectively over a long preparation time rather than “I have this session I need you to do in 10 minutes!” (as fun as those are, they don’t often yield the best results unless you can quickly adapt activities). A space like Google Classroom, Microsoft Classroom, MS Yammer, Slack, Voxer makes it easy to facilitate ongoing conversations and reflections, easy to capture and share success. Whether a wiki, a OneNote Notebook (I don’t recommend Google Drive since that can be quite confusing to organize and locate content, although I know schools that do use it in spite of that with some frustration up front), find a way to make curriculum and lesson sharing possible. Encourage observation, modeling, implementation with support in a culture of trust and safety is key. Tools like Flipgrid.com and getRecap.com can make video recording and sharing easy for teachers. 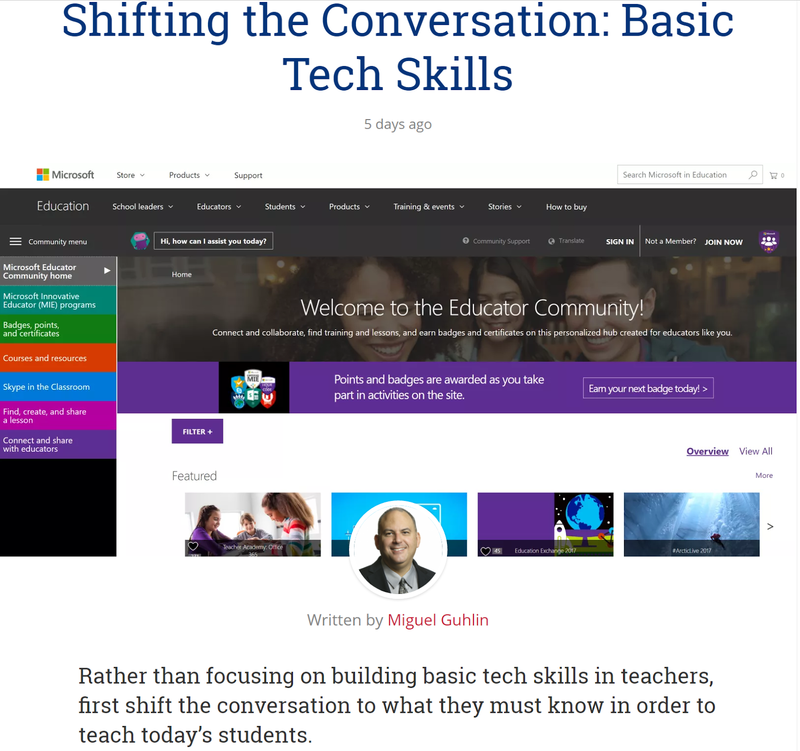 Encourage reflections that are shared in a OneNote or blog, although writing may be too much given teacher literacy levels and/or time to compose and reflect, which is why I recommend Voxer or Flipgrid. We know that teachers are more likely to adopt instructional methods after they see that strategy being successful in a classroom with students they know. Record short lessons and watch students work through successful activities. Whew, that was a tough question! So glad I was able to share my thoughts in a blog entry rather than a Twitterchat! !